Freddo began its activities in 1969, with the opening of a flagship store at the heart of Recoleta, the most beautiful and classic neighborhood of Buenos Aires, the capital of Argentina. With this store, the dream of two Italian families united by a culture of effort and fruitful work, became a reality. That culture remains in Freddo to this day and we are proud to produce the classic Gelato with the same recipes that we have been using for the past 50 years, and with the same care and attention to detail of the founders. The global ice cream market size was valued at USD 54.80 billion in 2016 and is expected to grow at a CAGR of 4.1% over the forecast period. The rising demand for innovative flavors and formats and growing demand for impulsiveness to consume the product in developing countries is expected to drive the market growth during the forecast period. Asia Pacific, Latin America, and MEA region is expected to drive the market growth during the forecast period. We have been using the same Italian recipes for the past 50 years taking the best selected raw materials of Argentina and the world, to give our clients the best textures, flavors and aromas. 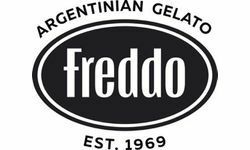 50 years later, Freddo continues to be the most important and premium gelato brand in Argentina with more than 100 stores in the country and more than 60 stores overseas in Uruguay, Chile, Brazil and the United States of America. Request more information to learn more and become part of the Freddo Family today!